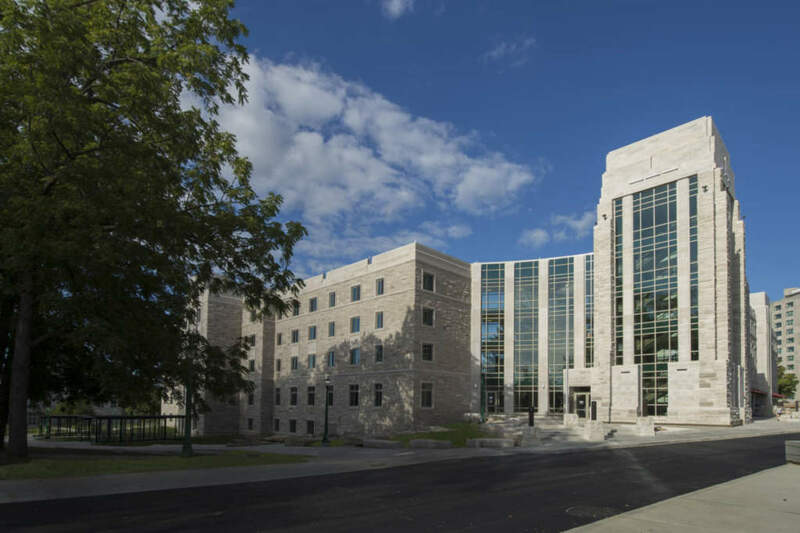 In its second major project with Indiana University, Weigand Construction completed the 450-bed Spruce Hall in the summer of 2013. The 150,812sf project incorporated design features that emphasized sustainability, flexibility, community and technology to receive LEED certification from the U.S. Green Building council. Spruce Hall includes a mix of room types, easily accessible common areas, student lounges classrooms, and computer labs all finished with a limestone exterior to fit with the prevailing style of the IU Bloomington architecture.